The Vancouver Island Wolf was identified as gray wolf subspecies Canis lupus crassodon by zoologist E. Raymond Hall, PhD. in 1932. Its original habitat extended from the Northern Rocky Mountains to Southern Alberta in Canada. The Vancouver Island wolf is of medium sized, measuring roughly 26 to 32 inches high, 4 to 5 feet from nose to end of tail, and weighing 65 to 90 pounds. It is usually a mix of grey, brown, and black. Occasionally, they are seen pure white. The two principal prey of the Vancouver Island wolf are the Columbian black-tailed deer and the Roosevelt elk. It also feeds on Eastern Cottontail Rabbit which were brought to the island in 1964. Breeding season for this wolf comes in January. The Vancouver Island wolf disappeared from some surrounding islands like Salt Spring Island in the 1800's. In 1970, they wereadded tothe Canadian Wildlife Federations "Endangered Wildlife in Canada" list. 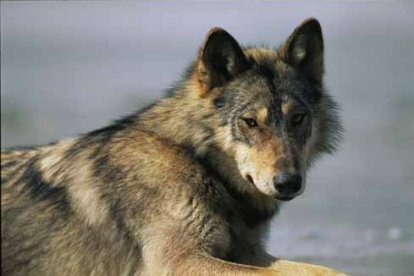 1973 Vancouver Island's wolf sighting program started with a count of 37 wolves, 1976 Vancouver Island Wolf Populations had seemed to rebound with a count of 88 wolves,and in 1977 they were removed from the provincial Threatened and Endangered Species list.